Hi Becky, and thank you for allowing She Shoots Film to ask you some impertinent questions. We love your versatility and your resourcefulness - some photographers think outside the box, but it seems to SSF that for Becky Ramotowski (aka Astro Beck) there simply ARE NO BOXES. Tell us please about some of your favourite ways to make images. Hi, thanks for considering me a NO BOXES kind of person. The truth is, little light tight boxes with film in them guide my life. I've been making photos since I was six years old and have always had cameras. My parents gave me an Imperial Mark XII to take along on a six week long camping trip to California before I started first grade and the rest, as they say, is history. My major influence at that time was my aunt who simply instructed me to hold the camera level and to be still. 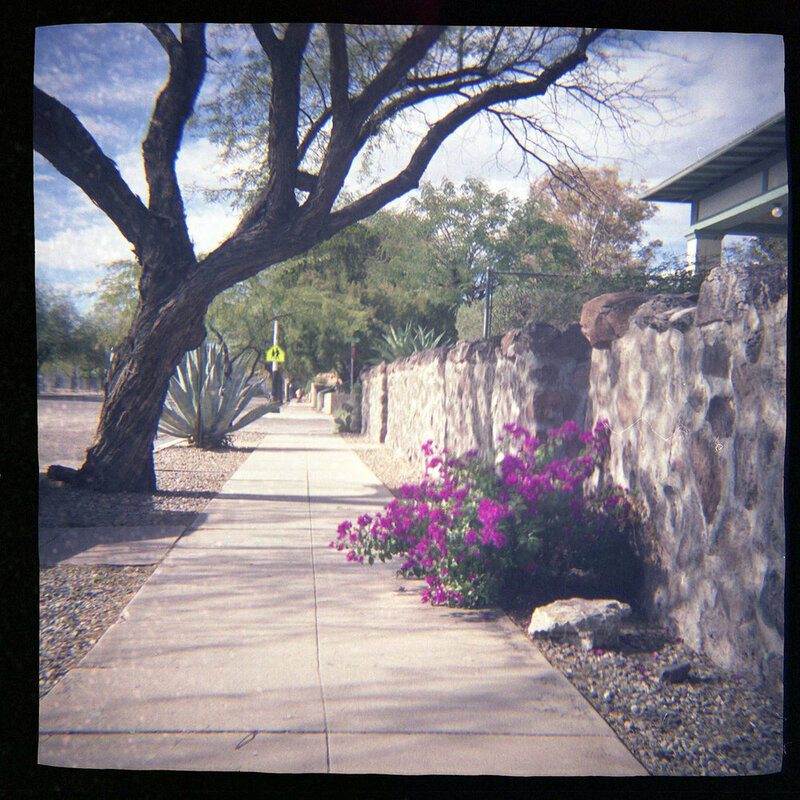 Being still is easy and comes in handy now as a pinhole artist, but I'm still working on the holding the camera level part! What projects and adventures are you planning at the moment? An ongoing project I started earlier this year is making one of a kind Moon shots on Harman Direct Positive paper with my Pentax K1000. I've been making series of Moon phase photos and sequences of eclipses. It hasn't been easy and the project has taken on a life of its own, but I enjoy the slow process of it and making small intimate one of a kind images. Harman discontinued the paper earlier this year so I bought a small quantity to hopefully keep the project going for a while. Every day is an adventure! Are you a woman on a quest? What are you looking for in your images? Tell us about your philosophy of image making. Not on a quest per se, but making photos that tell stories is what I aim for. I think simplicity and a bit of imperfection is best when making an image. Simple doesn't mean boring and simple can be complex if that makes any sense. ThIngs that look simple, and are simple, can be full of complex meanings and feelings, but also just incredibly beautiful. And fundamentally, these little light-tight boxes aren't complicated at all, though if you look at a modern slr you can start to doubt that. 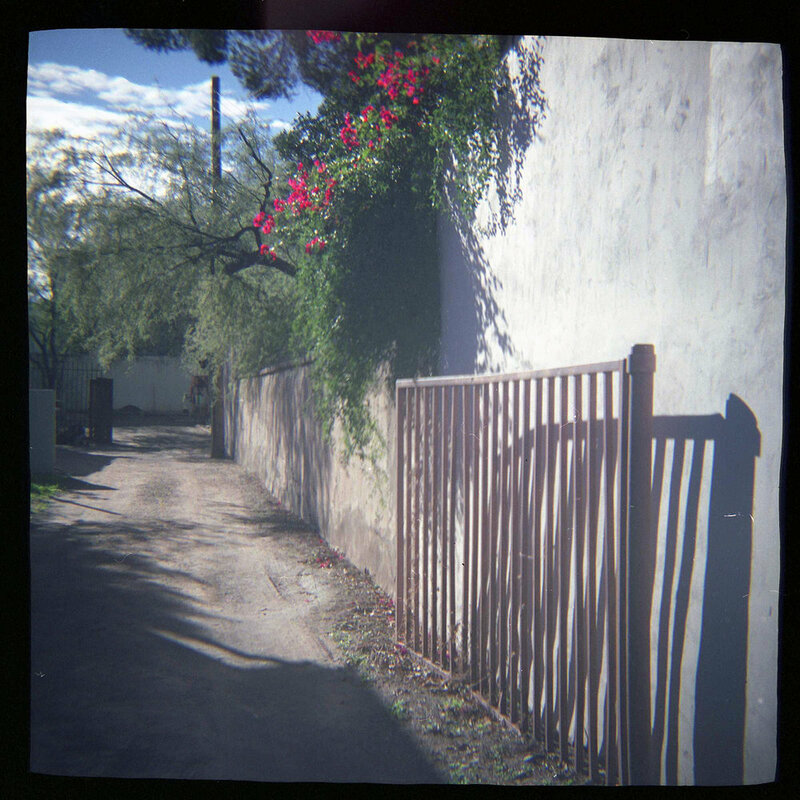 There's a simplicity in pinhole work which is very pleasing, especially in your sun's journey pinhole shots. How long do you expose these shots for? I expose the pinholes for solargraphs for six months - summer to winter and then winter to summer solstices. The cameras are left alone with the aperture open for the entire six months. All kinds of things can happen to the cameras and lots of teeny tiny bits of debris can enter them, like snow, dirt and rain, but since I've been doing this for eight years, it's much easier to just let them do their thing and not worry too much. 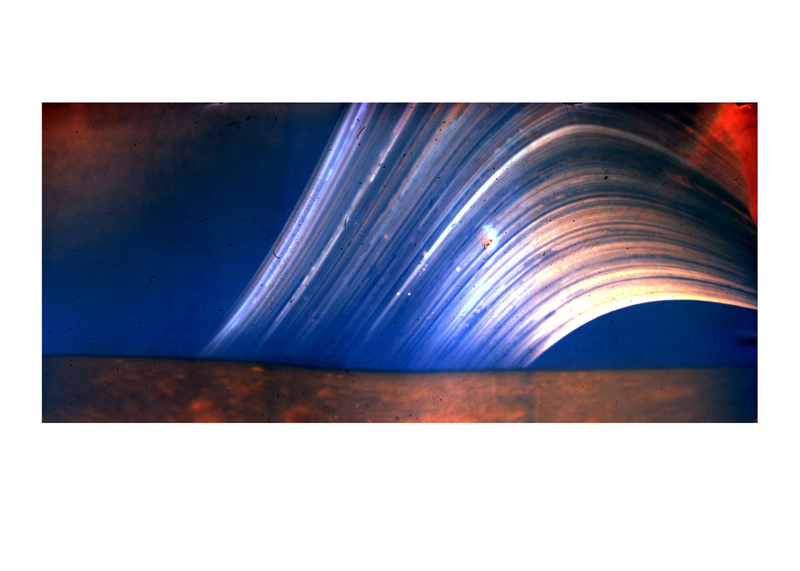 For special Winter Solstice solargraphs I only expose for the days the sun stays on the same low track across the sky. Solstice means sun standing still, so I plan for those days and search for interesting foreground landscapes earlier in the year so I'm ready by the time late December arrives. I've got some new ones that I'll be collecting in two weeks that I started during summer solstice in June. These long and slowly unfolding series of sun and moon shots have a kind of primitive, worshipful aspect to them. What's on your mind when you plan photographs and take photographs? They are kind of primitive, and I hope people enjoy them and stop and think about what the solargraphs show - a real passage of time with sunny and sunless days. Mankind has been scribbling on rocks showing the sun, moon and stars in different positions for ages and I'm basically making the same thing with a modern twist. The story of time simply passing. it's so satisfying how Photography can record the long slow passing of time, as well as freeze it, and pick out tiny moments of it. Tell us about your quicker pictures. If you go out for a day's shooting, what might you carry and where might you go? What are your favourite films, places and subjects? My quicker photos are usually spontaneous and unplanned, although I do keep a little notebook and jot things down about places to return to. Sometimes this is successful and sometimes it isn't. I've been chasing a photo of a certain sign on Route 66 for five years and so far it just hasn't worked out. Either the light is wrong when I'm there or there's something blocking the viewpoint I want. Mostly I just want to make a few photos as a way to remember a certain mood of something that catches my eye. Going back through old photo albums and files of images I've noticed I am attracted to certain subjects...mainly old bars, which is kind of odd because I'm not a big drinker, but I love the history and stories that go along with them. 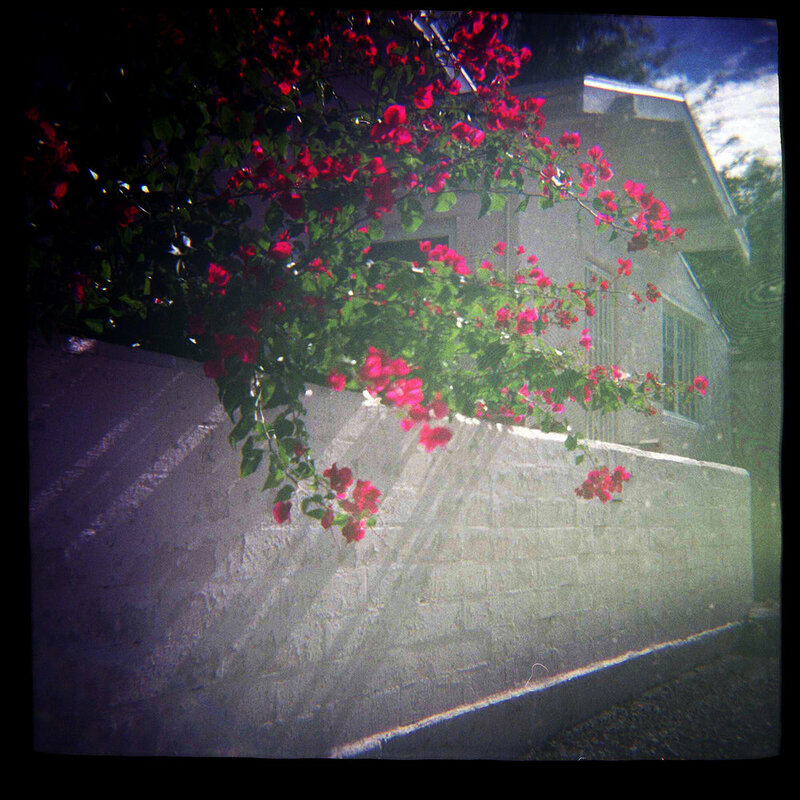 I like to carry an old vintage Diana around loaded with Kodak Ektar 100 colour film for spontaneous shots. It's an easy camera to love since it lets you concentrate on what's in front of you and not worry about settings. The bad part is that it is so noisy when winding the film, it could wake the dead! It's impossible to sneak up on anything to make a stealthy image. I also carry a "Rover" which is a Diana clone with 100 speed black and white film. This is what I call my "art" camera since the lens has to be taped in or it will fall out, but it makes the kind of soft focus images I like for some subjects like old houses and abandoned buildings. 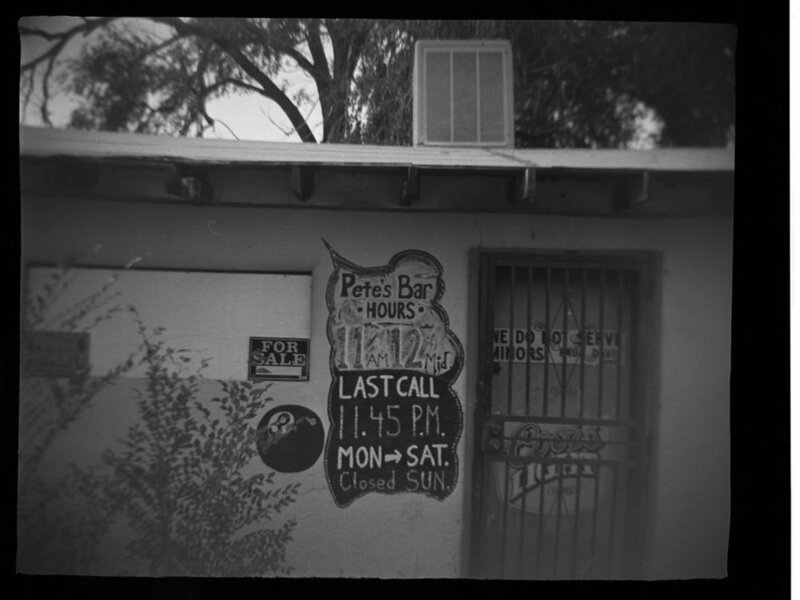 It uses 120, is VERY temperamental and scratches the daylights off the negatives! I love using it, but it is such a brat! A Pentax K1000 goes everywhere with me. I bought it new in 1985 when freelancing for a newspaper and feel lost without it. Co-dependency comes to mind when I think about this camera, but it's never let me down and always just works! Fuji 200 colour film or Tri-x is what it likes best. What kind of photographer or photographic artist are you, and how important or meaningful do you think these distinctions are? Hmmmm...."what kind of photographer am I?" A happy one! It gives me great pleasure to make photos that make me and others smile. You make us smile! Every, every time. Thanks Becky. 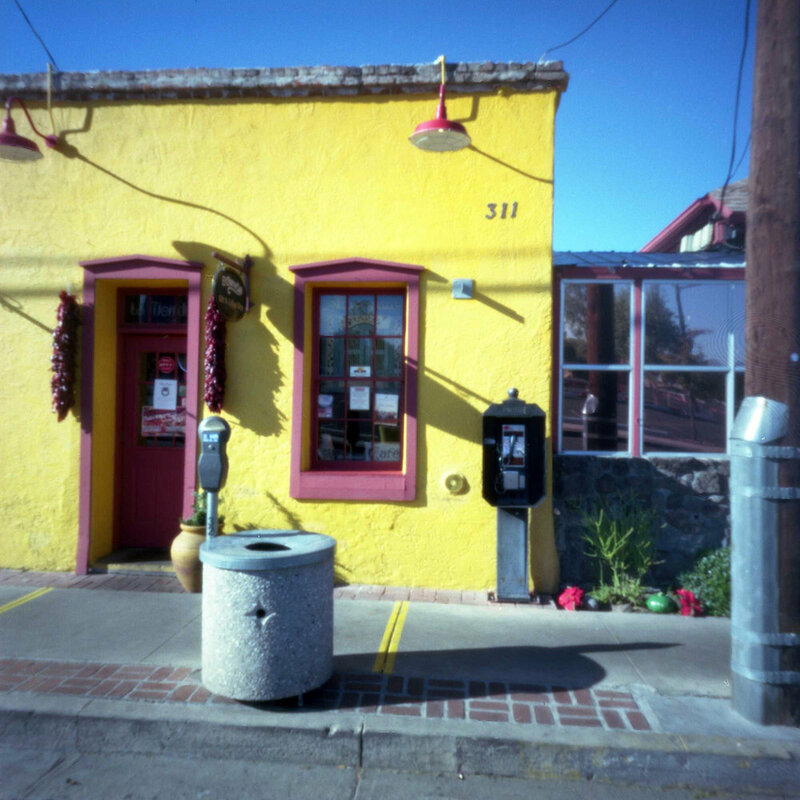 For more work created by Astro Beck, visit her website Palomino Pinhole.